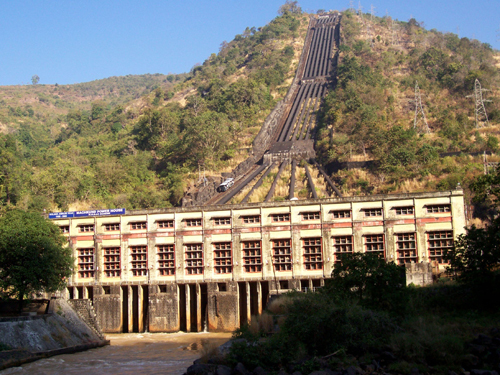 Machhakund (or Machkund) Hydroelectric Project is located near Duduma Falls between the Andhra Pradesh and Orissa Border. It is a collaborative project of Government of Andhra Pradesh and Government of Odisha . The Maharaja of Jeypore conceived the idea of a dam in 1928. Although the planning for the project started in 1930’s, the actual displacement began in the late 1940s. As the project was started before independence no proper records for the displacement and rehabilitation are available. Also, the concept of rehabilitation was not evolved at that time . In the latest conflict, local villagers surrounding the hydroelectric plant had disrupted the power generation function of the plant in December 2010. The agitators protested under the banner of Dalita Sangh. Their demands are local infrastructure development and jobs in the project. Following the agitations by the villagers living in close proximity of the plant, power generation at Machhakund Hydro Electric Plant was severely disturbed. This follows a power supply crisis in various parts in Andhra Pradesh and Orissa . As a result, the distribution company, Southco has imposed restrictions on power supply. Rama Sisa, a leader of Dalita Sangh, said they would not allow the power plant to function until their demands were met.The main demands include electrifying the periphery villages and hamlets of the power plant and construction of roads and schools in the area. The power generated from the Machhakund Hydro Electric Project is supposed to light many villages in both Orissa and Andhra Pradesh, but the villages surrounded the project are yet to be electrified. Regarding distribution of power generated, till 2008 Orissa used to get 30 per cent share from Machkund project; in that same year, the state started to get 20 per cent more following the consent given by Andhra Pradesh . The issue, which has been continuing for the last 50 years, was resolved at a meeting between Orissa's Energy Minister S N Patro and his Andhra Pradesh counterpart Sabir Ali Ahmed in Hyderabad. Project Details The project is located on the western slopes of the Eastern Ghats near the well-known Duduma falls (Duduma Falls is famous tourist site) on Machkund River. The Hydro Power Plant has a design capacity of 120 MW. It has 6 unit(s) under operation (3 x 23 MW + 3 x 17 MW). 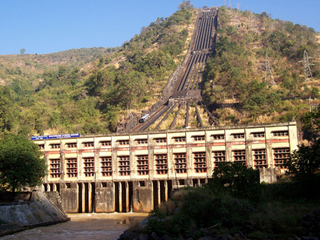 The project was established in 1945 as a joint venture project between Orissa and Andhra Pradesh. At that time sum of Rs 18 crore was invested in the project. Among the total expenditure Orissa had invested about Rs 6 crore, Andhra Pradesh invested around Rs 12 crore. The first unit was commissioned in 1955 and the last unit was installed in 1959. The plant is operated by Andhra Pradesh Power Generation Corporation and Orissa Hydropower Corporation Limited. As per the Inter-State Agreement, both Andhra Pradesh and Orissa share the expenditure and power in the ratio of 70:30 respectively [1, 4, 5].In an agreement signed between two states in 2008 it was decided that the power will be equally shared between the two states . Why? Explain briefly. As the project and the displacement phenomenon are quite old no record of displacement is available. However, according to different sources [Mahapatra 1990:861 cited in William Stanley 1996] about 2,938 families were displaced by the project. Many of them were allocated in Dandakaranya area around Malkangiri. Perhaps the displaced persons of Machhakund Hydro Electric Project were got better offer in terms of similar kind and measurement of land .